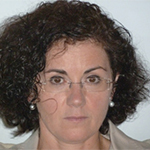 Barbara De Salvo, PhD, is Cea-Leti VP for Science and Long-term Research. Cea-Leti is at the leading edge of European research in microelectronics and nanotechnology. It has 1700 employees and deposits approximately 300 patents per year. With 54 high-tech start-ups, it is one of the most significant industrial research partners in Europe. In 2002-2004, she was the coordinator of the ADAMANT project (“Advanced memories based on discrete-traps”) funded by the European Commission within the Fifth Framework Program. She acted as the leader of several LETI/I.C. Company Memory Research Programs (as Freescale, ATMEL, NXP, Infineon, STMicroelectronics, ALTIS, Micron and Samsung). From 2008 to July 2013, she was leading the Advanced Memory Technology Laboratory in Leti, dealing with technology development and physical understanding of innovative NV memory concepts (such as Phase-Change and Resistive RAMs). From April 2012 to July 2013, she was also assigned the leadership of the Innovative Device Laboratory, dealing with novel CMOS architectures, high-performance, low-power devices and 3D architectures, thus supervising more than 60 scientists. From August 2013 to August 2015, she was LETI assignee at IBM-Albany, NY (USA) in the frame of the IBM Alliance towards the 7nm logic CMOS. At present, she is in charge of the strategy for long-term research projects and academic partnerships for the whole LETI, reporting directly to the Leti CEO. She authored/coauthored more than 250 referred articles, seven book chapters and a book on Silicon Non-Volatile Memories edited by Wiley and Sons. She is member of the main Scientific Committees of International Conferences (IEDM, ESSDERC, NVSMW, IMW). She supervised more than 25 PhDs. Improving IT energy efficiency is a major challenge with an increasing impact on computing, communication, sensing and driving. Previously, performance measured by computation throughput was the dominant computing need. Today, the power issue threatens to strangle all classes of large-scale computing systems. Moreover, the advent of the Internet-of-Things has brought the expectation for “always-on” functional connected devices, pushing the need for greater energy efficiency in future smart devices. In this talk, we will rethink the technology stack from device to applications. An energy version of Moore’law (at the transistor level, memory architectures and interconnects) will be discussed. A major shift in architecture (away from the Von Neumann model) embracing alternative style of computing (as neuromorphic-, approximate-, Quantum- computing) is needed. Finally, biologically inspired designs adopting nature as a source of inspiration for new generations of engineering systems will be considered.